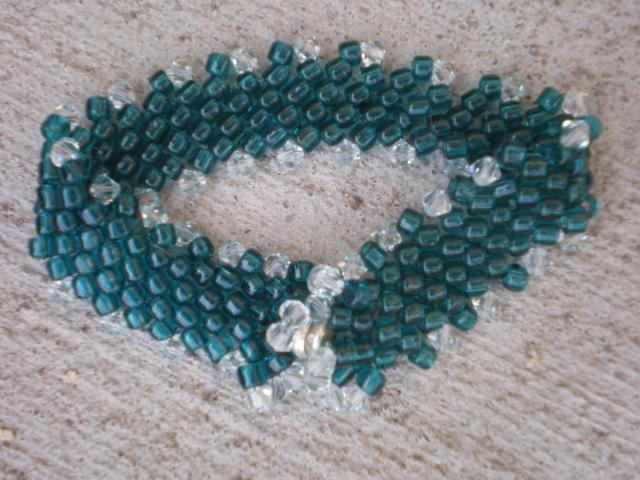 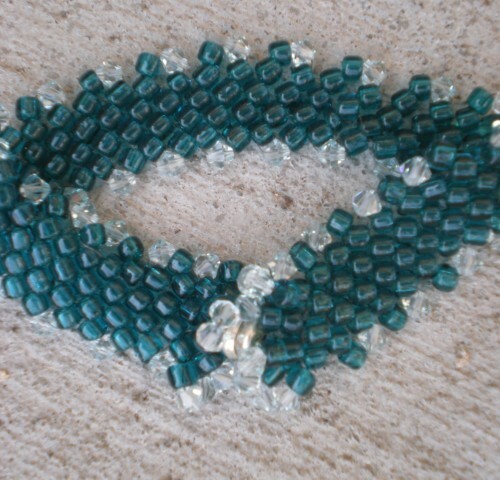 Aqua round seed beads accented with clear 4mm bicone swarovski crystals. 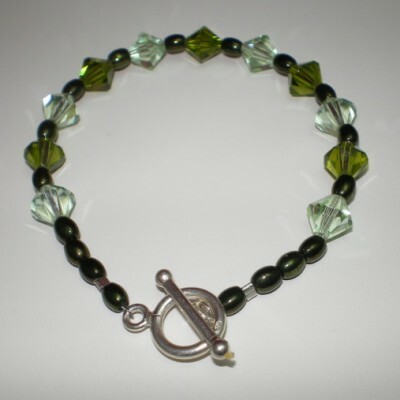 If your wrist is 7″ this will fit you. 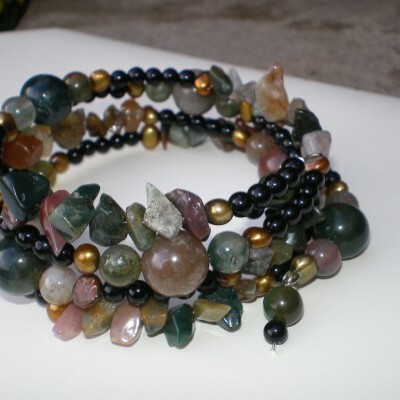 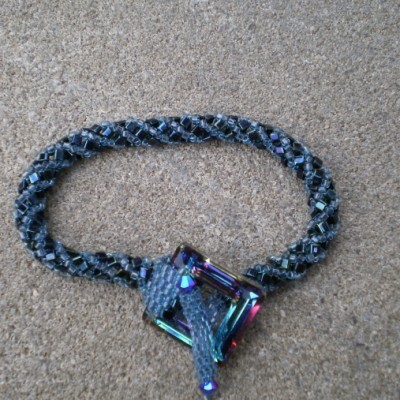 Be the first to review “6 1/2″ diagonal peyote woven bracelet” Click here to cancel reply.